WINTER 2019 SEASON IS COMPLETE, SEE YOU FOR WINTER 2020! Powder Alerts, Deals & More! ​As a nation gratefully acknowledges the contributions of all service members on Veterans Day, skiers and boarders owe a special salute to the men of the 10th Mountain Division.​After their military service in World War II concluded, these members of the “Greatest Generation” went on to revolutionize outdoor life in America. ​The inspiration for the U.S. Army’s 10th Mountain Division was tiny Finland’s soldiers on skis and skates. In 1939, though outnumbered and outgunned, the terrain-savvy Finnish army repeatedly thwarted an ill-prepared advancing Soviet army. The global community noticed, including Charles Minot Dole, president of the National Ski Patrol. As World War II fighting spread, Dole lobbied the U.S. Army to create a similar unit of mountain-ready warriors. The U.S. Army authorized its formation in November 1940. The National Ski Patrol took on the unique role of recruiting for the 87th Infantry Regiment which later became the 10th Mountain Division. To this day, the National Ski Patrol remains the only civilian recruiting agency in military history. They reached out to ski club members, mountain climbers, university students, and European mountaineers. Dutifully enlisting, these rugged young men endured intensive training at over 9,000 feet in the Colorado Rockies at Fort Hale. Later, their training included climbing in the harsh conditions of Washington’s 14,400-foot Mt. Rainer with 100 lb. Packs. In 1944, the 10th Mountain Division was shipped to Italy, where they fought courageously in the Alps against German forces over 114 rugged days. They encountered fighting in at the Battle of Monte Castello, Monte Della Torraccia-Mount Belvedere and Torbole. Nearly 1,000 members of the Division died in battle. Over 4,000 were injured. When the Germans surrendered in May of 1945, the 10th Mountain Division assumed security in the area and received surrendering enemy units. After World War II, most came home and went on with their lives. They relied on their ingrained work ethic, ability to overcome obstacles and their great love of the outdoors. At least 62 ski resorts and their ski schools have been founded or managed by veterans of the 10th Mountain Division, among them Vale, Aspen, and Sugarloaf. Two thousand 10th Mountain Division veterans eventually became ski instructors. Many more built ski lifts, manufactured gear and published ski magazines. Other notable 10th Mountain Division members left their marks on recreation and conservation. Oregon legend Bill Bowerman, head UO Track coach, and Nike shoe developer was a member of the 10th Mountain Division. So was David Brower, the first executive director of the Sierra Club, who spent his career committed to preserving natural lands after seeing first-hand the impact of war on the environment. The unique story of this courageous group of soldiers was told in a 1996 documentary, Fire on the Mountain, https://www.gageandgageproductions.com/fire_on_the_mountain. The film comes full circle, following members of the 10th Mountain Division on their 1995 climb on Riva Ridge in the Alps. There, fifty years later, veterans from the US, Italy, Austria, and Germany met again, this time not as enemies but as friends and members of the International Federation of Mountain Soldiers, committed to peace. At Skibowl, we are grateful for their intrepid spirit of the Mountain soldiers and the courageous service of all U.S. military veterans. 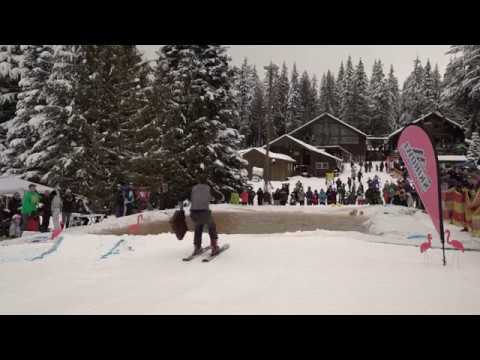 The tubing hill is open! The Snow Tube & Adventure Park at Skibowl East is open everyday for winter break through Jan.1st! That includes 8 lanes of tube hills, the conveyer-assist lift, the Amazen Maze plus Frosty's Playland with Kiddie Carousel, 4300 sq.foot Indoor Playland, Kiddie Snowmobiles, and the Multorpor Lodge. Guests are encouraged to purchase a two-hour session online to guarantee their spot on the hill. Ring in the New Year mountain style at Mt. Hood Skibowl! 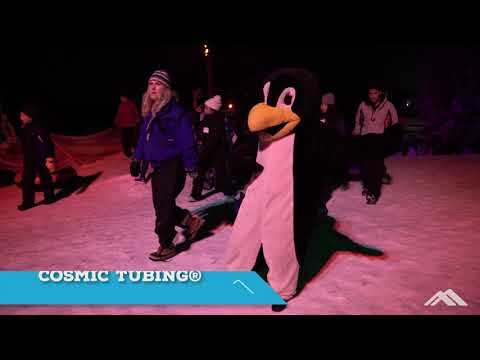 Winter games, cosmic tubing, DJ, fireworks, and lifts running ‘til 2 am! Check out all the event details at 31st Annual New Year's Eve Extravaganza! Thanks for skiing with us! See you 2019/2020 Season! Thanks for being with us for an excellent 2018/2019 season, we look forward to seeing all of you again in the 2019/2020 season! 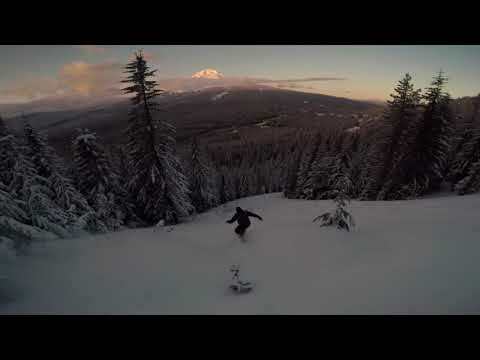 Please checkout the Mt Hood Adventure Park at Skibowl in the meantime! Drive less and ski more! We’re the closest ski area to Portland and we’re open for night skiing 7 days a week. Our lines are shorter on the weekend so you can ride more and stand around less! With tons of awesome events during the season your pass gives you access to all the fun! Thanks to everyone that join us for the winter 2018 season. Look foward to seeing you next season! We had so much fun at the Snowboeach festival thanks to all that joined us for all the action! Put us on your calendar to do it all again on March 23rd 2019! 31st Annual New Year's Eve Extravaganza! Time to make your Mt. Hood plans! New games in the Ratskeller arcade!